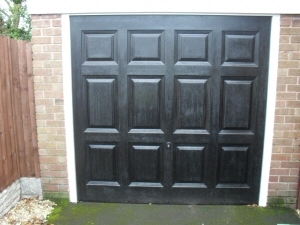 Georgian style matt black automatic garage door with wood grain effect in BlackpoolJ C Joinery offer the repair and installation of all manner of good quality garage doors. 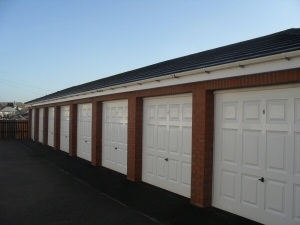 Sectional garage doors similar to those in a fire station. Great for small or limited spaces, as you can park the car right up to it. Automatic (electric) garage doors with remote control and internal button. 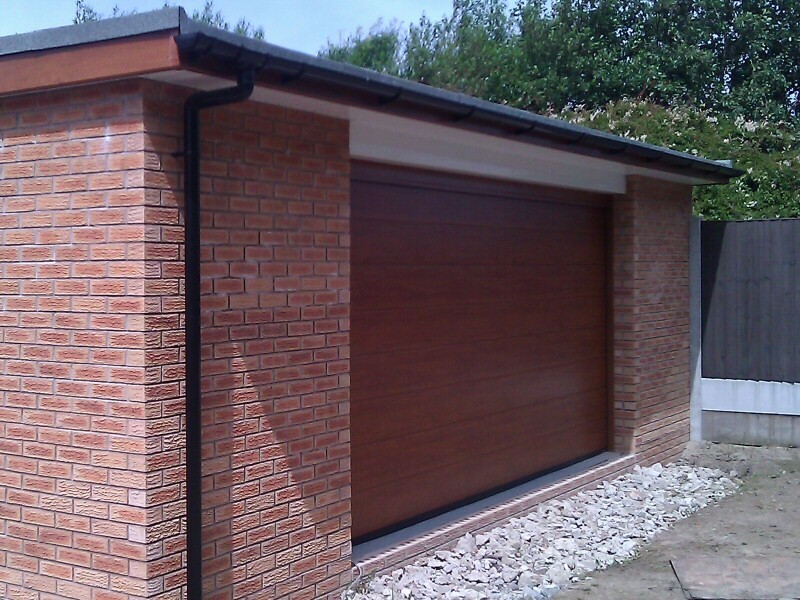 Steel, wood, UPVC and glass fibre garage doors in a wide range of colours and styles. Traditional up and over garage doors. Doors for lock-up or apartment garages. See our Commercial Work section. Please note, due to their unreliability when improperly installed, we would not suggest the attempted repair of roller shutter style doors. If you have faulty roller shutter doors, we would generally advise you replace them with something more reliable. With J C Joinery, you can be assured of Garage Doors finished to a high standard, using quality materials and at a reasonable price. Glass fibre up and over residential garages at Admirals Sound, Thornton CleveleysWe can fit whatever manufacturer you desire, but we recommend Hormann garage doors as standard. Their high quality German engineered doors are reliable and durable and can be sourced at a good price for the quality. 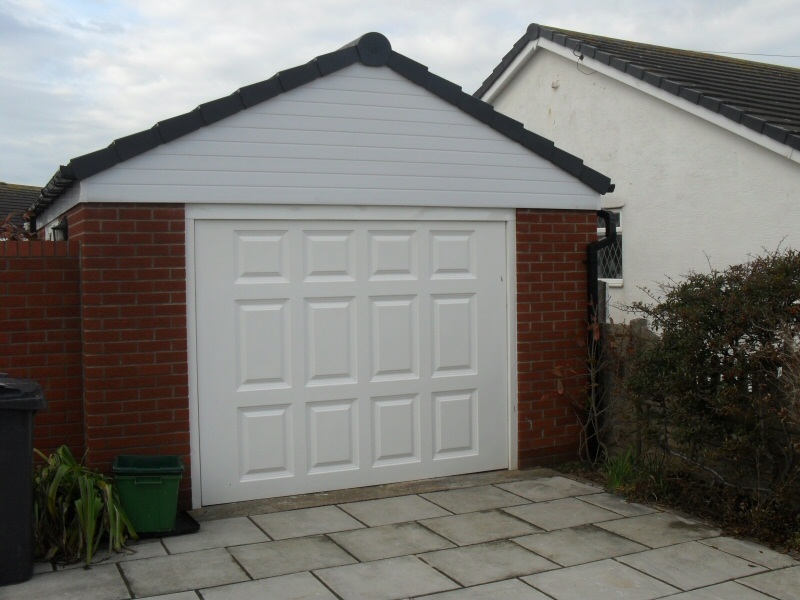 For examples of our Garage Doors work, have a look through our Photo Gallery below. References from previous customers are also available on our Testimonials page. 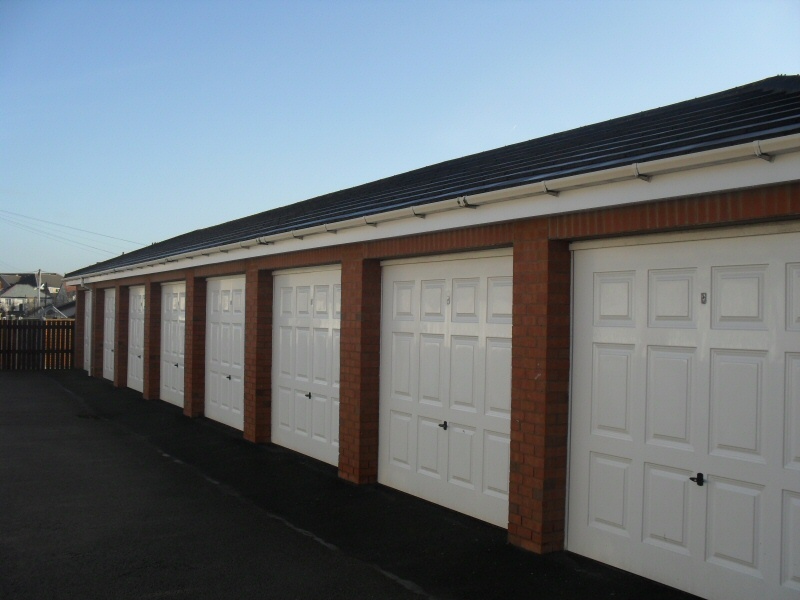 An example of recent commerical work is the fitting of 29 doors on residential garages at Admirals Sound apartments in Thornton Cleveleys.